Photography Lessons in the field! If you’re serious about wanting to take your nature photography skills to the next level, then our private photography lessons are the perfect answer! 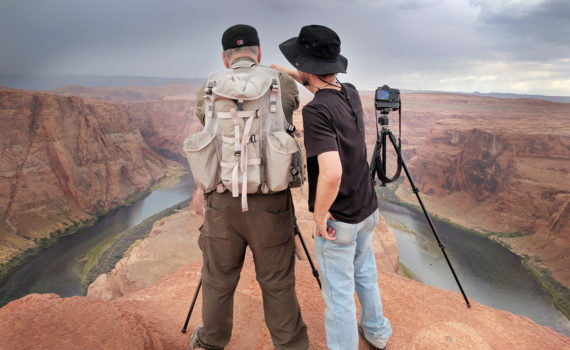 Here’s a behind the scene’s look in the field during a private one-on-one Nature Photography Workshop on location in northern Arizona. 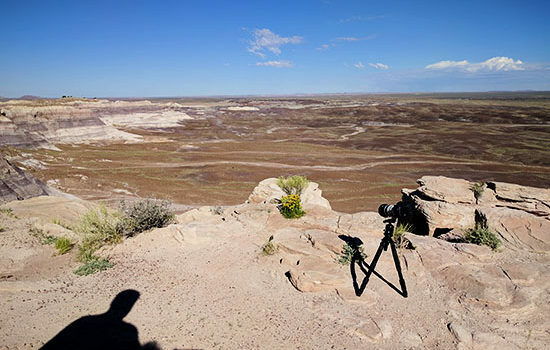 With a private photography lesson, our student had the chance to receive one-on-one instruction and put his new skills to the test out in the field of a beautiful nature setting in the Painted Desert area. Having the instructor by their side to ask questions and help them take their skills to the next level is definitely priceless! Not only do we teach photography classes and workshops, but we also do private photography lessons for students! 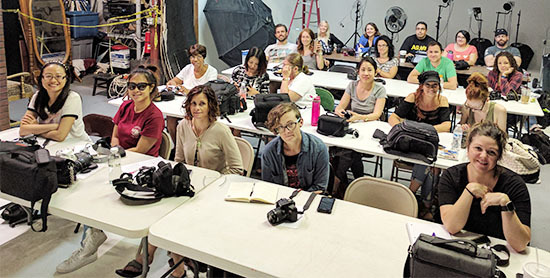 Our latest private lesson was for our Studio Lighting Workshop that we hold multiple times a year. This was an advanced level lighting lesson for an experienced photographer that needed help in lighting and shooting specific modeling shots. 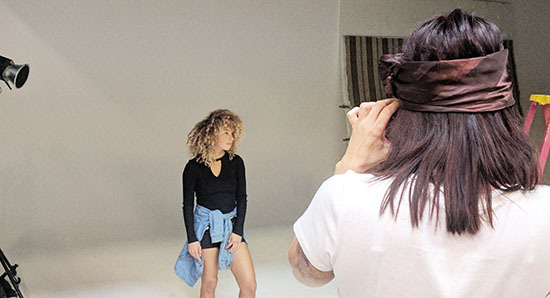 For students who require a more one-on-one learning style or would like to learn specific types of photography, our private lessons are perfect! If you’re serious about taking your nature photography skills to the next level, then our private photography lessons are the perfect answer! Here’s a behind the scene’s look in the field during a private one-on-one Nature Photography Workshop on location in southern Arizona. 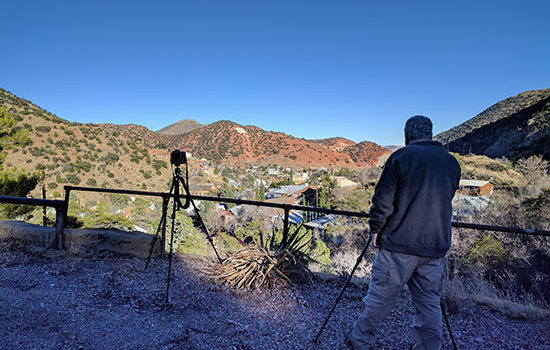 With a private photography lesson, our student had the chance to receive one-on-one instruction and put his new skills to the test out in the field of a beautiful nature setting in Bisbee. Having the instructor by their side to ask questions and help them take their skills to the next level is definitely priceless! 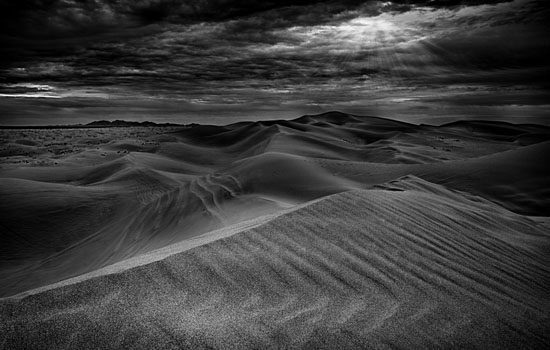 Southern AZ Nature Photography Lesson! A behind the scene’s look in the field during a private one-on-one Nature Photography Workshop on location in southern Arizona. 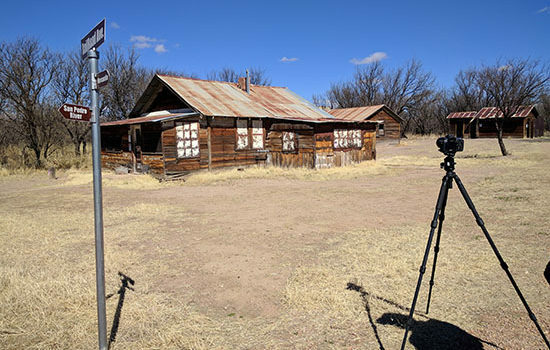 With a private photography lesson, our student had the chance to receive one-on-one instruction and put his new skills to the test out in the field of a beautiful nature setting in the Fairbank ghost town. Having the instructor by their side to ask questions and help them take their skills to the next level is definitely priceless! Photography Lesson in Ghost Town! Not only do we teach photography classes and workshops, but we also do private photography lessons for students! 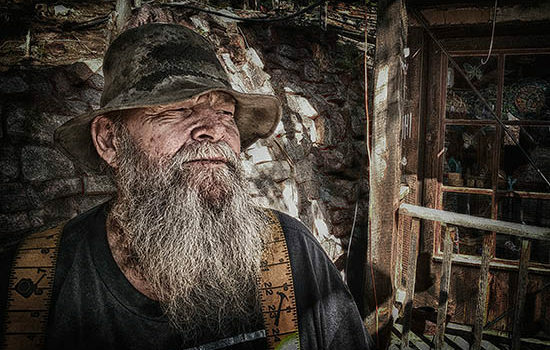 This private photography lesson took place in Jerome and the student was able to learn and capture some really cool and creative photos in the ghost town setting! For students who require a more one-on-one learning style or would like to learn specific types of photography, our private lessons are perfect!